Recently established silicon design startup Ampere Computing has officially launched its first product, a 32-core processor based on Arm architecture, called eMAG. It is clocked at up to 3.3GHz in Turbo mode, features high memory throughput and 42 lanes of PCIe 3.0 - all this with a thermal design point that’s just 125W. The chip was developed specifically for hyperscale operators – owners of some of the largest data centers in the world. Chinese vendor Lenovo has become one of the first to adopt eMAG in its server platforms. “Together with Ampere, we will deliver a new generation of servers designed specifically with these customers in mind, providing the leadership quality, consistency and value they've come to expect from Lenovo," said Paul Ju, VP & GM for Hyperscale at Lenovo Data Center Group. Arm is a fabless semiconductor vendor: it doesn’t have its own fabrication facilities, focusing instead on research and development, and licensing its blueprints to third-party manufacturers. Since Arm chips are incompatible with the traditional x86 instruction set, the architecture has struggled to find mass adoption in the server market. Out of the businesses that attempted to take it mainstream, Calxeda failed, Qualcomm looks to be giving up, and AMD seems too preoccupied with Epyc to pay much attention to its Opteron A1100. Some have had limited success, like Applied Micro with X-Gene, and Cavium with its ThunderX product line. There have also been efforts to integrate Samsung’s Exynos chip, originally designed for mobile devices, into miniature servers. The latest effort comes from California-based Ampere, which exited stealth in February 2018, led by the former president of Intel, Renee James. Its eMAG is based on Armv8-A 64-bit architecture, built on the 16nm process by Taiwan Semiconductor Manufacturing Company (TSMC). The first generation eMAG features eight DDR4-2667 memory controllers and eight PCIe controllers, totaling 42 PCIe lanes – enough for the most demanding storage, analytics and in-memory database workloads. 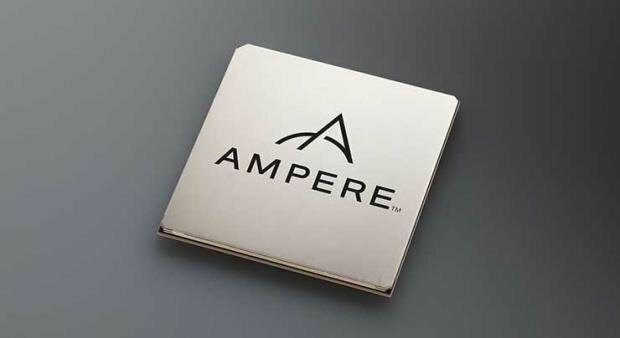 Ampere has also shared its plans for the future, with a second generation CPU based on 7nm process expected in 2019. "We have made tremendous progress since our launch eight months ago, continuing to execute on our first and second generation products. More importantly, we are ahead of schedule on building out a robust, multi-product roadmap that meets the performance and features demanded by the cloud computing ecosystem," James said. "We are partnering with world-class OEMs like Lenovo and several ODMs to address the unique design requirements for our cloud customers and meet their total cost and performance targets." eMAG is priced at $850 for a 32-core version or $550 for a 16-core version. While Arm has found it difficult to break into the server market, it has found plenty of uses in high performance computing (HPC) – it will serve as the foundation of the upcoming Post-K supercomputer built by Fujitsu and Riken in Japan, and in Astra, being built by HPE and Sandia National Laboratories as part of Project Vanguard.